These brass jobs will be available in very limited numbers to only the original LionCub List buyers, there will be somewhere between 60 and 80 units, and suffice to say this is only a fraction of the total number of regular LionCubs. Demand exceeds supply by several times - so my quandary is how to offer them fairly. So watch your e-mails as I will be contacting you, in some strange, convoluted, nonsensical order dreamed up only in my wildly careening and spun-out-of-control mind, to offer first crack at one of these. Seeing those HAT pics makes me really miss what this hobby/obsession used to be... Thanks for sharing those. I think that bare cub in Troy's picture is the one I used and abused so much that the switch doesn't work anymore. It is NO where near as shiny anymore. Cool thread. Miss the fun days. 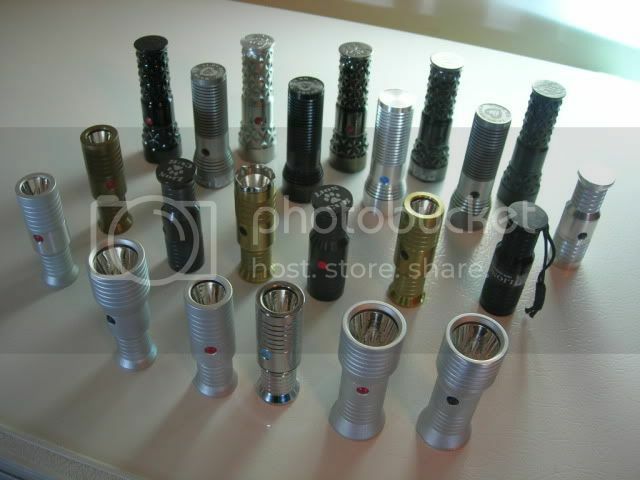 Do you guys think a golden age of custom flashlight design is drawing to a close? It has certainly crossed my mind. This thread is just awesome! 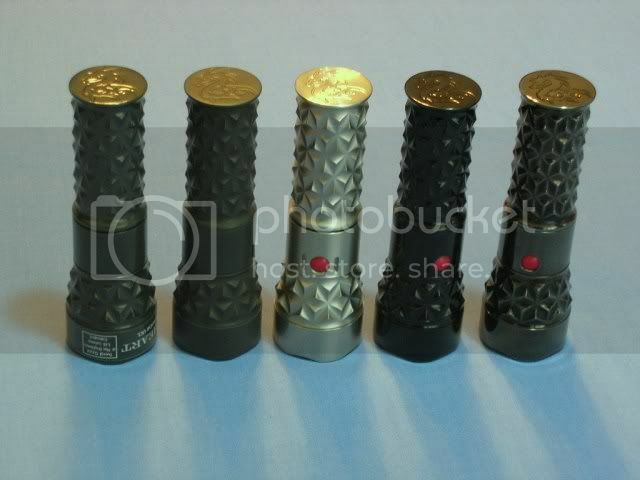 [quote/]Do you guys think a golden age of custom flashlight design is drawing to a close? I believe that if the passion remains true to us flashaholics their will always be that part in us that holds a high respect to those that bring art and function to the hands that use and appreciate these custom lights.It is my belief that we as a community need to stick together and keep this passion alive. in the beginning it seems the custom makers and modders were all doing what hadn't been done before. Charlie is right - technology wise there are handfuls of lights these days that are mass produced, have good performance, regulation, features, etc - but that isn't really what brought be over to the poor custom side. My first custom made light was the original U bin run of the Orb RAW - smaller than before, brighter, way cool. It was an awesome light - but still just a light. It took something more to grab my soul. Long before I was a Mr. Bulk fan, I saw his avatar of the Brass LionCub. It was more than a flashlight - heck I didn't even really go read the details about the light - I saw the light as ART. If you will research my posts and go all the way back to the beginning of MBF (now known as Flashlight-Forums), you will see that my first order of business was to obtain one - and thanks to some great people - I still have that light and will keep it forever. There have been many custom lights and makers - lots of cool stuff. But it is rarer still when a light crosses that line and becomes something more. 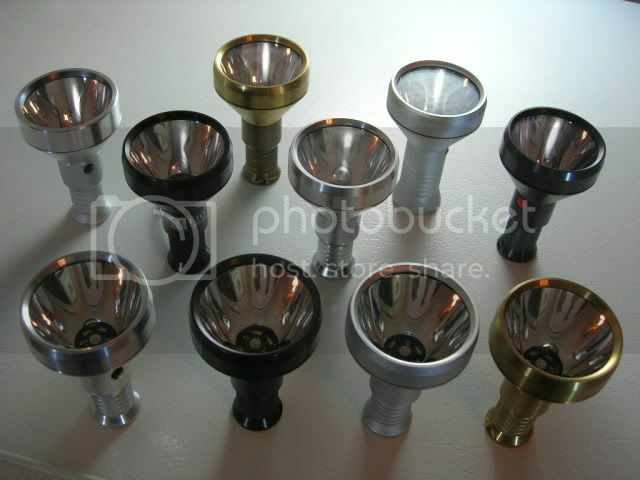 We custom light nuts are probably drawn to the art side just as much as anything else. The spark of creativity is what makes these lights special. Now to convince Charlie that I REALLY NEED one of those Ti Cub II masterpieces!!!!!!! Long before I was a Mr. Bulk fan, I saw his avatar of the Brass LionCub. That was actually probably my avatar, which I had for a couple of years. The Brass Cub is still right up in my top three lights of all-time. Geo, I agree with you. My concern is, now that Mr B is taking a 'hiatus' from creating customs, I don't know if Don's (though I certainly love my Lunasol and Sundrop) future creations will hold my attention. I mean, with a shelf full of Mr B's, McG's, Gatlights, Spy 005 and 007, various Orbs, Gothams, etc., where are the customs headed? To me, these were such a blast of creativity that they will be difficult to match. A golden age of custom light production? 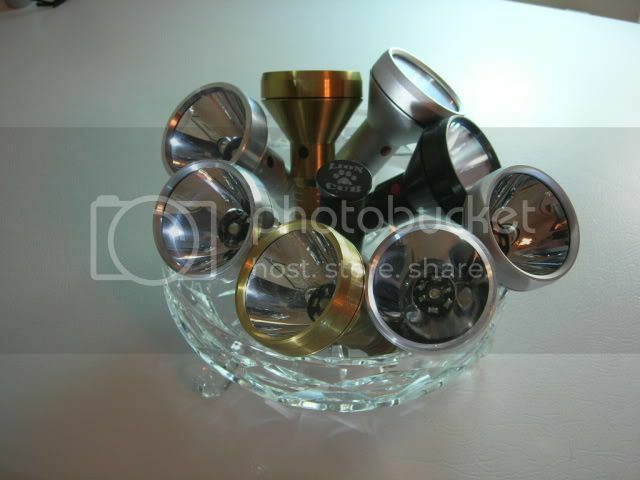 Of course, I'm not an old-timer flashaholic like many, but damn, I look at my lights and am just amazed by them. They'll be hard to top. To paraphrase Mr B, there is nothing technologically new right now with which to design new lights. Heck, there's a new thread started in USN reminiscing about hanabata days (days of our youth) in Hawaii. 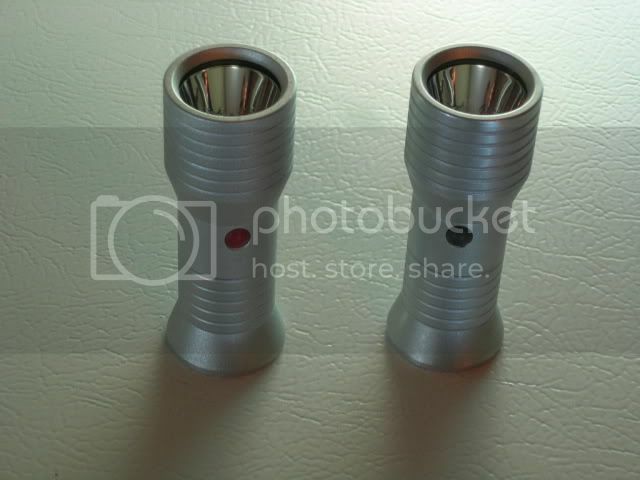 Now, here this thread turns to reminisce about the golden age of LED flashlight design. I came in late to the game. My 1st high end a natural PD-S mizer. Later, Version 2 Gatlights, CubMelean, Spy005, Maxlite. All from the builders. What a rush. Maybe the far east will be able to come up with their own designs. Probably, not. They had the Olympic TORCH this year but that's about it. I thank you all for your past kindnesses. Actually it should be 24 SS DragonHearts. 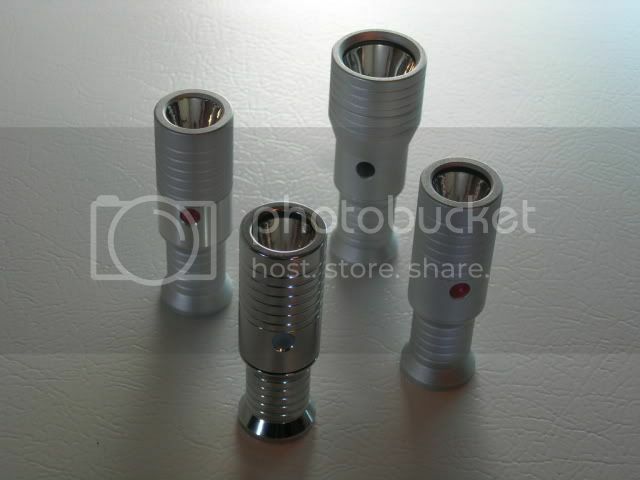 The 03-20-08 quote from the TNC shop in this thread says 24 stainless lights. Charlie sold at least 20 through this sales thread and additional 4 in his DIY LionCub (AND OTHERS) thread. The numbers in his sales thread indicate 22 preorders for the SS DH but I believe 20 were actually sold plus the additional 4 makeing the total of 24 SS DHs. The sales thread has the following numers in the sign-up list: 12x brass, 14x bare, 12x black, 1x HA. 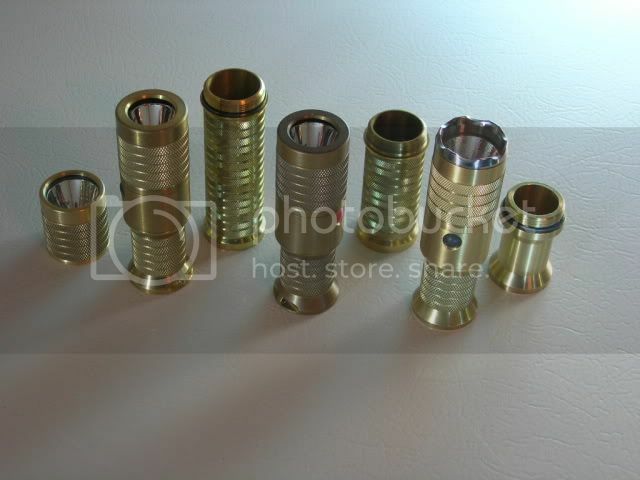 When you head over to Lips DragonHeart Coating thread you´ll recognize one additional bare for Mr.Bulk making the numbers 12x brass, 15x bare, 12x black, 1x HA. BUT you´ll also recognize kiely23 on the coating list who originally was put down with a black DH on the sign-up list. So now the numbers would be 12x brass, 16x bare, 11x black, 1x HA. 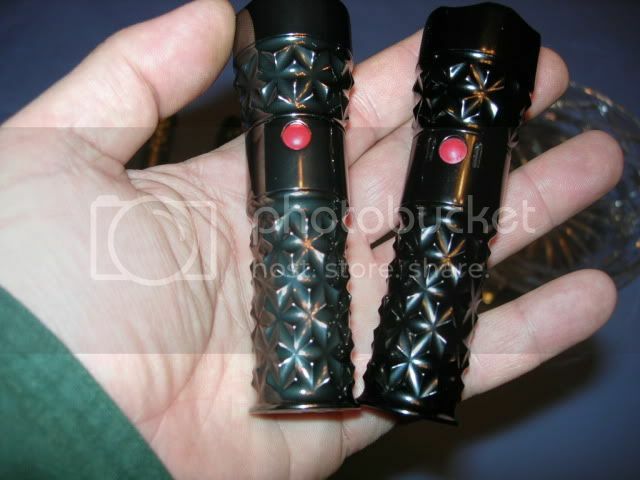 BUT Lips´ list only has 13 bare lights noted for a special coating! So now we need to find out if RPM, m3stk and LouRoy changed their mind with their bare DHs and what finish was chosen instead or if these 3 bare DHs were just ment to be bare without any coating. I just fought my way through the 35 pages of the sales thread but didn´t read every single post. So let´s assume 3 bare lights without any coating were made. And now the important part that amps up the aluminum/brass DH numbers: Charlie mentioned several times half of the produced DHs (originally 50 were planned) will have to go to a certain online vendor, who turned out to be lighthound. I know for sure that lighthound sold HA black, HA natural as well as brass DragonHearts! 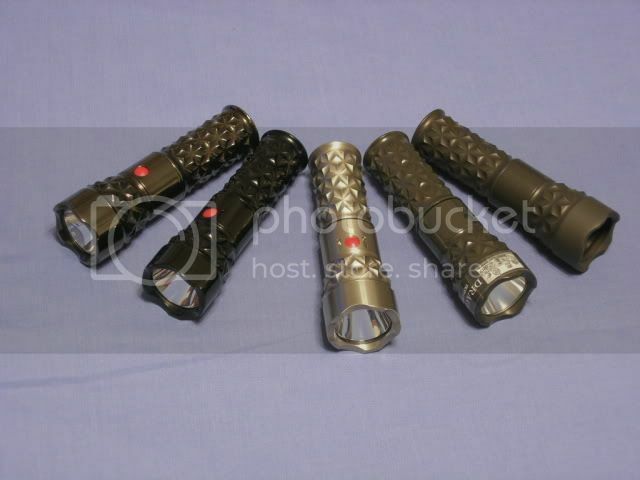 I´m not aware of any bare DHs sold through lighthound. Uh-DAY-um! 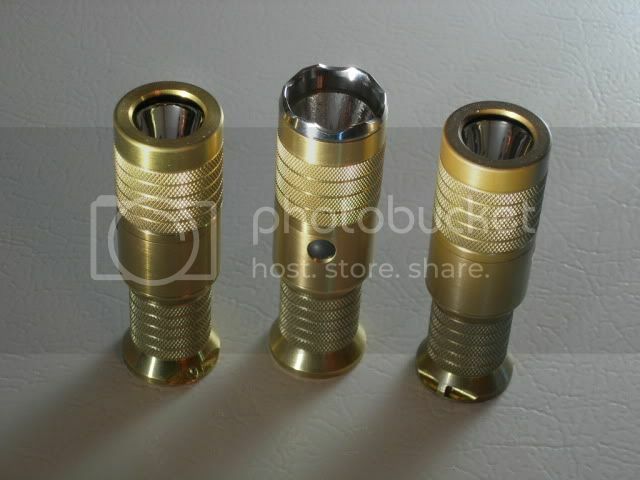 Waal rott hayer we already gots us TWENTY-EIGHT lights PAID rott hayer...DAY-um! Actually I just received some news - if everyone pays up, there will be around 33 FF buyers total. I expressed this concern to www.LightHound.com and John Crighton has kindly agreed to take 27 as LightHound has already received requests from people wanting to be on their OWN preorder list(! ), and we thus agreed to bump total production up to SIXTY DragonHearts. Woo hoo! So unfortunately there will be sixty DragonHearts total, period. So it is either 60 aluminum & brass DHs total or, since we have 40 lights on the sign-up list plus 27 for lighthound it is 67 aluminum & brass DHs total. 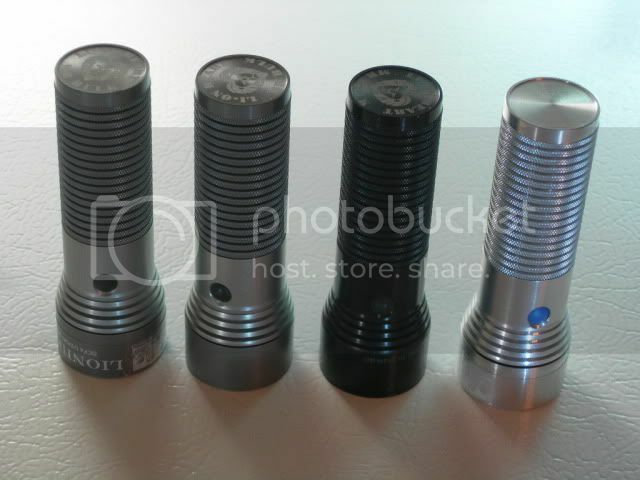 Since we don´t know the number of HA black, HA natural and brass DHs sold through lighthound we can´t come up with a total# of each different flavour I guess. *Cubmeleons were produced with a Chameleon Bezil, Center Section and Tail but were powered by the LionCub Direct Drive Board. The Chameleon Bezel was designed with a larger window compared to the LionCub and produces more lumens. My DragonHeart family from the left. Smoke Black Chrome, Black, SS, Gloss OD Green with a P7 installed by Milky, Matt OD Green soon to be assembled with a Diamond Dragon emitter or K2. Two stock original Brass LionCubs surround an RPM'd Cub with Ti Bezel and P4 emitter. Brass Cubs with various size battery tails and on the left is an original Cub head that had the Bezel opened by Jochen at ArsMachina. The bezel mod increases the opening about 20% and allows a McR-20 reflector to substantially increase the lights brightnes. My LionHeart family - two naturals a black and a Bare Aluminum. The natural on the left has a P7 installed by Milky. with a larger opening for more light to escape. A pair of Chameleons. The one on the left was special built by Mr. Bulk for Milky with a P4 emitter hand selected by Milky himself. 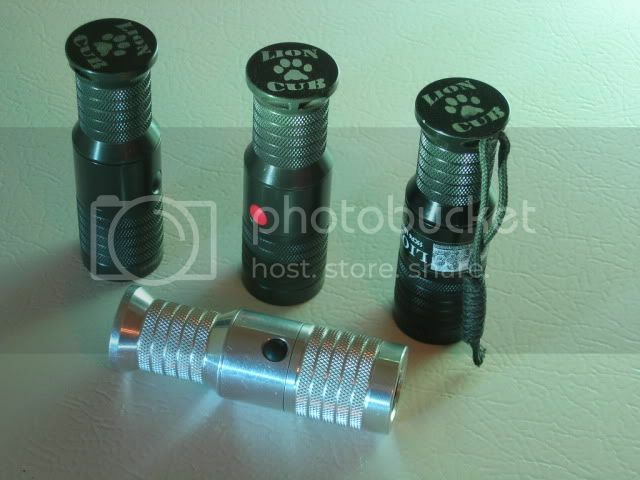 LionCubs - Two natural, a Black and a Bare Aluminum. The black has a P4 installed by Milky. Cubs, Cubmeleons and a Chameleon dressed for serioius throw. My Bulkware collection is a work in progress with a highly polished Chameleon set soon to arrive as well as a polished RPM'd Bare LionCub with Ti bezel to match the Brass Cub shown. I am still looking for a Brass DragonHeart to add to my DragonHeart family. :'( I am also interested in other Bulkware for my collection. I just want to say thanks to Troy for starting this thread and to everyone who has contributed information and pictures to it. I just picked up my fourth Mr. Bulk light (third in the family, I had to trade one to get it ) and I like to know what I'm getting. When you buy a light from the builder, there is all the info in the original sales thread, but when you get one second-hand, sometimes the seller just doesn't remember what they have (LED, driver, etc.). This thread answers a lot of questions about all my lights. As for the future, I hope that Eternal Flame heats up soon and out of the smoke comes an enhanced new LionCub (hey, I can dream). So, Charlie, we are all patiently waiting.